There are plenty of fun things to do in Puerto Plata, Dominican Republic, whether you are in a group, a honeymoon couple or a family with kids! Explore Puerto Plata's points of interest and the surrounding region. It offers stunning underwater scuba diving and snorkeling adventures. Travel on a luxury yacht to a beautiful Paradise Beach. Watch humpback whales migrate through a natural bay and swim with dolphins and sea lions. If you are after an adrenaline rush, sail across the top of a tropical forest on a zip line or take a 4x4 ride along rugged off-road tracks. The family will love a cable car ride to the top of a mountain where you will see stunning views and a game of golf is a must! These and a lot of other fun Puerto Plata activities to follow. The stunning setting of this city on the coast offers a myriad of things to do in Puerto Plata. Start with cruising and sailing. A trip on a luxurious 54 foot catamaran is a must. Feel like a millionaire as you sail across the azure blue waters and experience the magnificent marine life. If you want to jump off and snorkel, that is fine too! Party animals will love the Booze Cruise, filled with loud music, eats and drinks. Have a ball as you sail along the coastline, dancing, mixing with people of similar tastes and partying till you drop. For something less noisy, enjoy a sunset cruise for two and admire the city lights from the water as you relax and sip exotic cocktails. Leave the sea and sand and head off for the next amazing thing to do in Puerto Plata. Get ready for a combination of Las Vegas meets Caribbean at the Ocean WorldÕs Bravissimo Show. This vibrant cabaret-style show features 30 dancers and over 100 costumes, in an extravagant display of dance and breathtaking acts to the beat of Caribbean rhythms. Dinner is included and you can enjoy traditional Dominican cuisine after the show. You will be offered unlimited rum, beer and wine during the show as well as during dinner. The package offers free access to Ocean WorldÕs casino and admission to the Ocean World Disco for a night of never-ending entertainment. Admire the panoramic 360-degree views of the ocean from the disco on the 4th floor of the Casino. Karaoke fans can try their skills on Wednesday nights or on the weekends when the songs are tropical themed. Feeling lucky? Try your hand at blackjack, Texas Hold Õem poker or roulette. Then head back to your hotel for a rest as the sun rises! Driving a 4x4 on an off-road track is a fabulous thing to do in Puerto Plata. Set off with a tour to see the less explored inland regions and learn about the history, culture and wildlife of the Dominican Republic. The Outback Terra Cross ATV buggy is designed for rugged landscapes and you will have an adrenaline pumping experience bouncing over craggy rocks, climbing up mountains and exploring river valleys. Your guide will make sure you have a safety briefing and helmet and goggles are supplied. When you need to rest, stop off for a drink of coconut juice, take a dip in the river and then end your day sipping a rum cocktail with a traditional snack before heading back to the city. After your 4x4 adventure, get back into the water and discover another fabulous thing to do in Puerto Plata. 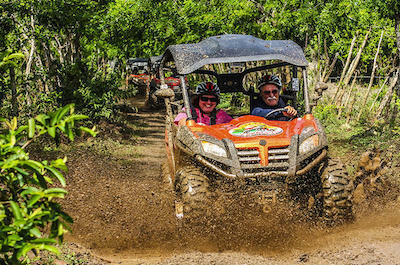 This super exciting thrill ride is some of the best tours in Puerto Plata. 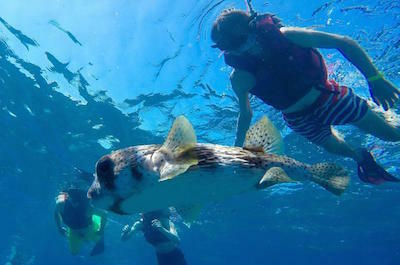 Snorkeling is a fabulous way to see the magnificent marine life that surrounds the Island. Take a boat tour out to Paradise Island, known for its beautiful coral reefs and brightly coloured fish. Your guide will show you how to use the equipment and be safe at all times. Float on the surface and snorkel as you look down at the stunning underwater scenes. 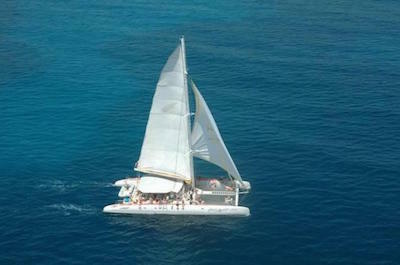 Combine your snorkeling with a tour on a luxury yacht, a speedboat or a local banana boat! The trip takes you out to the most beautiful areas with the best marine life. Eats and drinks are provided making this a fabulous day out for all. Discovering the nature and wildlife of the Dominican Republic is another amazing thing to do in Puerto Plata. 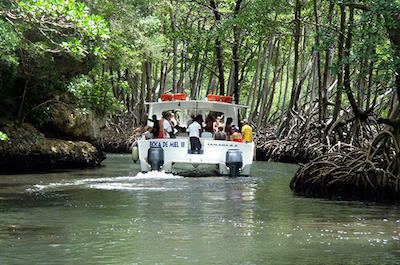 Head off to the Los Haitises National Park on a tour which takes you into the countryside. You will see the iconic sugar cane fields and fields growing cacao, bananas, pineapples and coffee. The Park is filled with mangrove forests and is home to exotic birds, fish, crustaceans and reptiles. Then discover the beautiful Blue Lagoon, a tropical paradise with hidden caves and thousands of swallows. See the natural landscapes where coconut and tropical fruits grow. Finally visit the Bayguate waterfalls, they plunge down hundreds of feet and if you are brave, you can enjoy a thrilling swim in the cold pools below the waterfall. 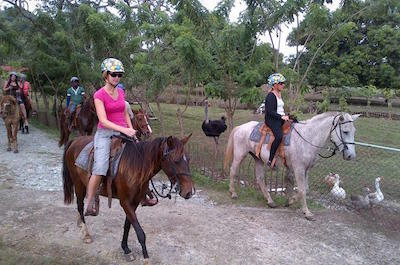 Getting away from the city on horseback is another fabulous thing to do in Puerto Plata. Tours are designed for all levels of skills so if you have never ridden before, don't worry! Small groups can take a horse trip along a pristine quiet beach. If you are an experienced rider, you can trot or canter. Stop for a refreshing swim and even go into the water with the horses. Romantics and honeymoon couples can enjoy a private leisurely walk along a pristine beach at sunset. Stop and relax in front of a bonfire and watch the moon rise over the ocean. After the beach, experience a horseback ride into the countryside to see the amazing sugar cane fields, rivers and waterfalls that make this region so enchanting. When making a list of things to do in Puerto Plata, don't forget the exciting day trips. A trip on a luxurious yacht to Paradise Island is a must. Here you will see stunning coral reefs, have time to snorkel and scuba dive and enjoy being treated like a millionaire. Head into the Outback on a fun safari open vehicle and explore the north coast. Learn about how coffee is made and meet a local family who will host you with a traditional meal. Another unforgettable day trip is a visit to the stunning Damajagua Waterfalls. 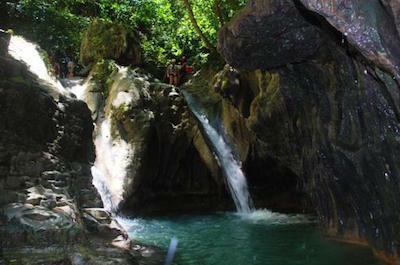 Located in a lush tropical rain forest, dozens of massive waterfalls crash into pristine pools where you can swim, dive and slide down natural rock slides. Visit the Blue Lagoon and then plan another day trip to the beautiful Cayo Paraiso coral island. 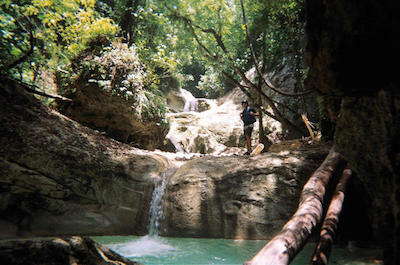 The tropical jungle is for also for humans and is another fabulous thing to do in Puerto Plata! 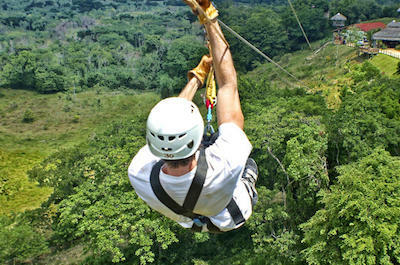 Fly and jump like a monkey from treetop to treetop while you are strapped to a zipline that covers over 4000 feet. Your guide will give you a safety briefing and information about the region. You are then fitted with your climbing gear, helmets and goggles. Once you are ready, jump and go! You will see the most stunning views from above the lush tropical forests. Stop at the rest platforms along the way to get your breath before flying off again. At the end of your trip, try out the 54 foot fan-descender jump, designed to give you that ultra rush of adrenaline. Watching whales in one of the best locations in the world is an enchanting thing to in Puerto Plata. 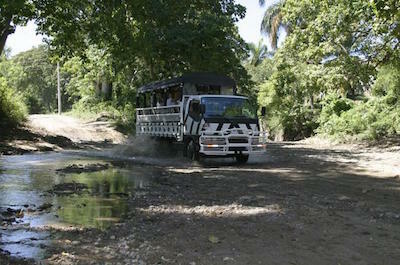 Take a trip to the Bay of Samana in a safari truck. When you arrive, board a whale watching vessel and head out to sea. The astounding sight of these massive creatures will remain with you for a lifetime. The whale migration route runs from the icy waters of the North Atlantic to the warm Caribbean Sea. 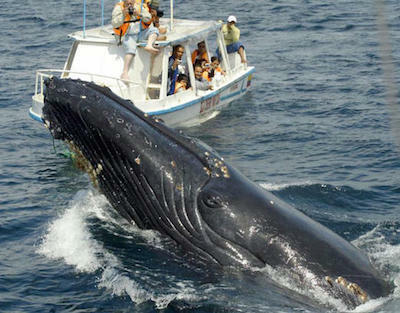 Every year, thousands of whales pass through the Bay of Samana. See the enormous Humpback whales that weigh over 70000 pounds! Get up close in your guided tour boat and take stunning photos. The World Wildlife Fund has deemed this to be the best spot on the planet for whale watching. When planning things to do in Puerto Plata, going on a Safari Adventure must be one of them. There are a variety of tours, organized by local experienced guides who will be delighted to explore the Island with you. Set off through the mangrove forests in an specially equipped open safari truck. Learn about the local people and the history of the region. Enjoy driving up mountains and along river banks not accessible by normal vehicles. Take an Outback Adventure along the north coast to see the amazing natural wildlife and coastal scenery. There is food and drinks and music on the truck to keep the group in a great party mood as you go along. Then discover the Santiago outback on a Jeep Safari Tour, another fabulous Puerto Plata activity. Scuba divers will find great opportunities and things to do in Puerto Plata. This idyllic island has the most stunning marine life, reefs and underwater adventures just waiting for you. If you are a beginner, take a few lessons and hire your equipment. Join a tour and dive with professional instructors who will ensure that you are safe at all times. 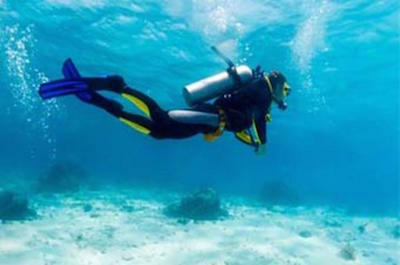 Experienced divers can go out on their own. Be awed at the flora and fauna, see corals, sponges, stingrays, eels, lobsters, crabs and eagle rays. These waters are known to offer some of the best dive spots on the planet for scuba divers. 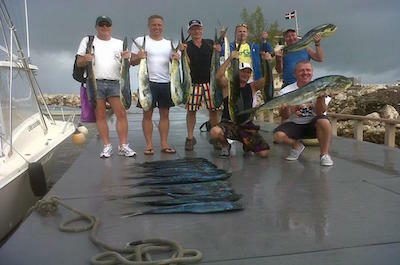 Serious fisherman after that Big One will find that joining the Puerto Plata Deep Sea Fishing Tour is a fabulous thing to do in Puerto Plata. This trip caters for both professionals and amateurs. It departs from the Ocean World Marina and offers a modern trolling technique which is guaranteed to attract fish. Experienced guides are on board to help you all the way. These waters are known for barracuda, bonito, black kingfish, dorado, grouper, king mackerel, marlin sea-breams, shark and tuna. State-of-the-art equipment is provided and this is a great family-friendly day outing. There are 8 lines and one will dedicated to each fisherman. Food and refreshments are provided and after all the hard work of landing that massive catch, some cheese sandwiches, chips and ice cold beer will be very welcome. You can take your catch back and a local tavern will be more than happy to cook it up for your dinner! An idyllic setting of 27 waterfalls makes memories to last a lifetime and is the next recommended thing to do in Puerto Plata. This will be the highlight of your visit and a definite for adventure seekers. 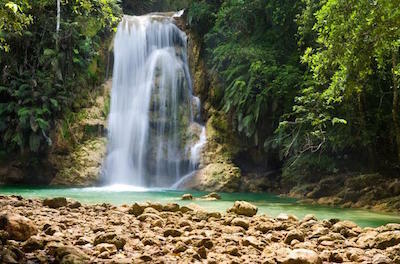 Join a tour and head to the Damajagua Waterfalls set in lush green forests. This astounding natural site has 27 falls that cascade downwards into clear pools. After leaving your bus, you will be given bottles water, a life jacket and helmet. Be prepared to get wet as you follow your guide up the slopes on a 40 minute hike. Wear suitable shoes and make sure your camera is waterproof. You will go up as far as the 12th waterfall and then depending on how brave you are, you can jump, slide or swim down. Some jumps are 8 meters high, but don't worry, you can decide to simply walk and not jump. When you get back down, a well deserved traditional meal will be provided. Enjoy barbecued chicken and pork, pasta and salads washed down with ice cold beer to complete this fun things to do in Puerto Plata. Visiting a picture-perfect uninhabited island called Paradise Island, or Cayo Paraiso, is the next not-to-be-missed thing to do in Puerto Plata. Join a tour which will take you to the small village of Punta Rucia. Along the way you will see and learn about the famous Pico Isabel de Torres, a massive mountain which rises approximately 2,625 feet above sea level. Set sail on a catamaran or, if you enjoy a rush of adrenaline, take a speedboat. For romantics, a luxury yacht will also do the trick to get you to the island. 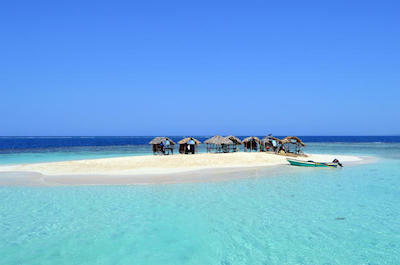 This beautiful setting offers stunning snorkeling opportunities, some of the best in the Dominican Republic. The tour allows 2.5 hours to explore the crystal clear lagoon and ocean waters and get your fill of corals, sponges, eels, stingrays, sea turtles and other exotic marine creatures. Take photos of the magnificent corals to show off when you get home. All gear is provided as well as a safety briefing and your friendly guide will be around at all times to help and advise. Just when you think you have done everything, the Saman‡ Peninsula is calling you Ð an amazing thing to do in Puerto Plata. Lush green rolling hills and landscapes filled with coconut trees lead to pristine sandy white beaches. Join a full day tour to explore this magnificent setting. The tour offers a combination of a safari truck ride, horseback ride and a boat trip! See exquisite waterfalls and hidden coves. Discover El Lim—n, a waterfall that plummets from 165 feet high. If you dare, jump into the lagoon under the waterfall! The tour then heads to El Timon restaurant with a stunning view of Saman‡ Bay. Enjoy a Dominican buffet lunch complete with tropical drinks in tall glasses sporting fun colored umbrellas. Then relax on Bacardi Beach or have a swim. If you are still up for more, the tour sails to Cayo Levantado, one of the best whale-spotting venues on the planet. A day well spent on this exciting things to do in Puerto Plata! White water rafting is a fabulous experience and this is the next thing to do in Puerto Plata if you have never tried it before. Enjoy the thrills and adrenaline rush as you speed down the rapids, through deep canyons and gorges, through the forests. 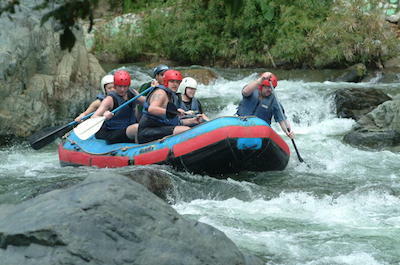 Join a tour that rides the rapids of the Yaque del Norte River through the scenic Jarabacoa. A professional guide will give you a lesson. All equipment, helmet, jacket and life suits are provided and your guide will be with you every step of the way. This adventure along the river takes you to places that cannot be explored any other way. When you get back to dry land, the tour heads for a classic ranch of Jarabacoa where a meal will be provided. Relax, catch your breath and plan to do it all over again! Minimum age is 12 years, not suitable for people with back, heart problems or pregnant ladies. 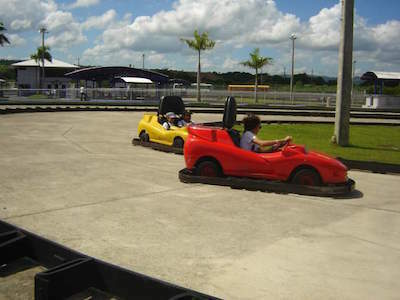 Grab the kids and set off to Fun City Action Park, the most exciting thing to do in Puerto Plata, and the largest Go-Kart experience in the Caribbean. The Park is safe and fun and caters for all ages. Get geared up and try your driving skills on the Cyclone Track which is for the brave! For something more family-friendly the Grand Prix Track is ideal to drive around at a slower pace. Then jump into a bumper car and bash and smash into people for fun. There is a fabulous playground with slides and trampolines for the smaller kids and the Pitcher Challenge will allow you to show off your baseball skills. It has a radar display so you had better be good! The park has a 100% safety record and each track is closely supervised at all times. A fabulous way to spend a day! 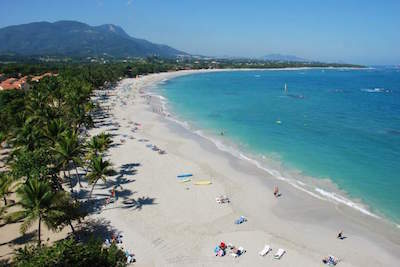 Visiting Cofresi Beach is a great thing to do in Puerto Plata. The beach is located near to the luxurious resorts and spas. It offers a different take on a Caribbean Beach with darker sand and some waves. The beach is set in a cove and has a natural barrier of rocks making it quite secluded. Although it does open up directly from the Spa, locals and others are permitted to visit, giving it a homely feel There are a host of services like beach loungers, cabanas and refreshments. Plan on spending a day, soaking up the sun, taking a walk or swimming in the warm waters. If you want to stay over at the Resort, it offers luxury accommodation with sparkling pools, entertainment, a health club and fabulous restaurants for more fun things to do in Puerto Plata. 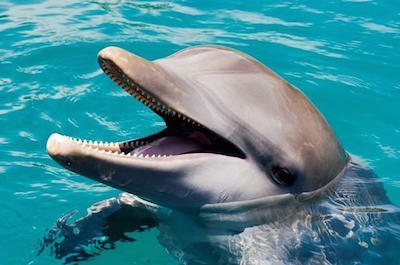 Swimming with dolphins is a lifetime dream for many people but it need not be a wish! This is one of the great things to do in Puerto Plata and one of the very popular Puerto Plata activities. Head for Ocean World adventure Park and book a swim with the the dolphins. Knowledgeable guides will give you an educational introduction to these fascinating creatures and you will then get into the water with them. This experience is ideal for the whole family and is perfectly safe. Life jackets are worn at all times and you float really close to the animals, making the encounters personal and unforgettable. Dance, play ball, kiss and hug them. Have a pectoral ride and then help the trainers to feed them some fishy treats. Make sure your cameras are close by!